You are here: Home / Diets / Noom Weight Loss Review – Does This Diet Plan Work? Hello, and welcome to my Noom weight loss review. I was recently looking to lose some weight and discovered Noom, a diet plan that I wanted to try. In this post, I will walk you through my experience with the program and help you decide if it’s right for you. So, if you are interested in an innovative diet program to help you lose weight, please keep reading. Whether it’s a new year’s resolution, getting ready for summer, or health-related, people have many different reasons for losing weight. There are a LOT of options out there when it comes to diet programs, and with so many, it’s often hard to choose the one that works for you. When it comes to losing weight a lot of people don’t know where to start. Sure, it sounds simple to just dial in your diet and exercise, and that’s all you have to do to shed some pounds. In reality, losing weight is not always that easy for people. This is where a diet plan comes into the picture. Motivation. Let’s face it dieting is hard. I think a lot of people would rather eat whatever they want, whenever they want to. I don’t like it when I have to cut back on certain things. Thankfully I have been pretty fortunate in my life to be able to eat pretty much what I want (in moderation) and still stay trim. When I do need to diet though, it’s hard to stay motivated. When the weight doesn’t all drop off all at once, it can be frustrating. So motivation is an integral part of losing weight. Accountability. When you are trying to shed those extra pounds, if you can’t hold yourself accountable, you will not make it very far. I believe a diet program that keeps you accountable will ultimately result in you accomplishing your goals. Encouragement. Dieting requires hard work and discipline, so having someone there to encourage you along the way is fantastic. A diet program with a community of like-minded people or folks who have been through it all, to support you along the way can really help. Goals. You have to set goals when you want to lose weight. Most people have a number in mind when they start a diet, like wanting to lose 30 pounds or something like that. Without a measurable goal, you will likely be lost. A goal gives you something to strive for, with an end in sight. Tracking. This is how we kind of sum everything up, goals, accountability, and encouragement, through monitoring. By tracking your progress, or lack of, you have a good idea what direction you are headed. If you are not meeting your goals or your milestones, you will need to re-think the plan. So tracking your progress is super important to know if you will accomplish the goals you set for yourself. Maintain. After people lose weight, a lot of people just put it all right back on. A good program will help you maintain weight loss. When you are choosing a plan to help you lose weight, you want to know that there will be a plan laid out for you and there will be support along the way. These factors will help you be successful! What is the Noom weight loss plan? Now let’s take an inside look at Noom. First of all, there is a 14-day trial for $1, and that is how I started out. Noom takes a little bit different approach. After you download the app, there are a series of questions you answer about your ideal weight, you’re eating habits, etc. Every day you log your weight and your food intake. The reason Noom has you record your weight every day is they say that by doing so, you are more likely to keep the weight off long term. Noom talks about the psychology of weight loss and basically eating food. 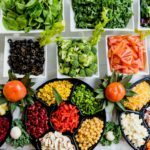 Each and every day there are articles about how to be healthier, one section is about “break down your bad habits.” Here they discuss how your mind works when it comes to food. Understanding your behavior is a big part of the program. Actions start with a trigger. Social triggers, when you are at a party and feel pressure to eat. I am a comfort food guy when I have a rough day, I want junk food. These are triggers, and you need to understand them and how to deal with them. I love the fact that they break down your mind, and thoughts and tell you what is going on in there. They discuss how your mind plays tricks on you. Each day you learn something new about your body, and you’re eating habits. For instance, there is an article all about conquering your cravings, dealing with a sweet tooth. These are not things you are born with but learn over time, to crave sweets. One great feature is that you can save these articles and get back to reading them later if you like. At the end of these lessons, there are quizzes to make sure you understand the concepts and are able to make healthy food choices. How does the Noom diet program work? With the 14-day trial, you have access to everything, including a coach, tracking (weight, exercise, food), etc. You can connect the Noom app to fitness apps on Android and iOS platforms. 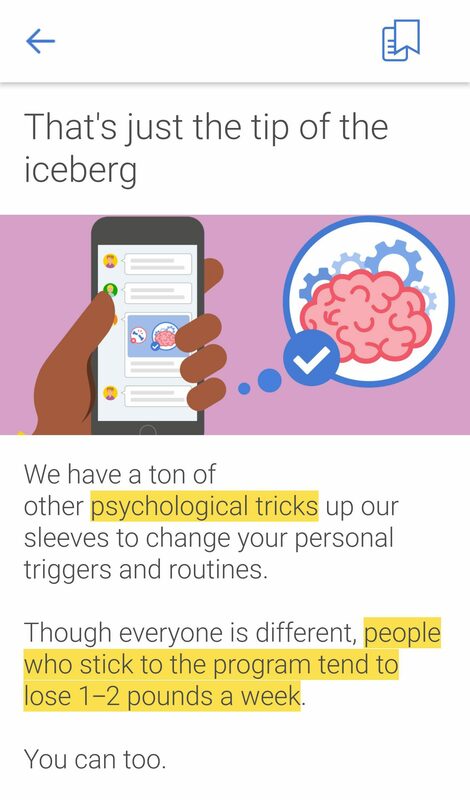 For instance, I had mine connected to Google Fit, more on my experience with that later. Food tracking is broken down into categories, Green 30%, Yellow 45%, and Red 25%. Example foods in these categories are as follows. Now, this doesn’t mean that Green is good and Red is bad. What this means is that you strive to have more Greens and fewer Reds. Notice you are not prohibited from Reds, but these are foods that have more calories and don’t fill you up. Food in the Green category have fewer calories and do fill you up. So feel free to consume lots of Greens and limit the Reds. One area where I feel Noom is realistic is with the categories. Sure, they would like you to eat 50% Greens, but that will be difficult to do and even tougher to maintain. It is better to have a plan you are more likely to achieve. Noom talks a lot about caloric density, eating foods that are low in calories but fill you up. Noom takes grapes vs. raisins as an example, the same food, but different water content. Eating a cup of raisins has a lot more calories than the same volume of grapes, but grapes have far fewer calories. So the goal is to eat more water-rich foods with high volume, so you feel full. This whole process can be somewhat challenging to understand fully, but the app will walk you through all of this. Okay, so now for the good stuff. I have been looking to lose about 10 pounds. Summer is on the way, and I have a little extra around the edges I want to get rid of. Vain? Maybe. I also have back problems, and I know that losing a few of those extra pounds would be good for my body and overall health. So, I heard about Noom and decided to give it a try. I went through the questionnaire at the start and decided what my goal was going to be. I also discovered that I am a junk food guy, not a big surprise to me. I started out with the 14-day trial offer. One thing to know about me is that when I commit to something I want to get started now. So, I signed up on a Thursday morning, and I was ready to get started. The coach who was assigned to me touched base with me, congratulating me on taking the first step. Yay me! But the next message said that she wanted to touch base with me the following Monday. This was not exactly what I was hoping for. Again, I was ready to commit but didn’t want to wait 3 or 4 days to get started. I sent a message back, asking what I should do in the meantime, just continue to eat whatever I wanted? She said to track my food intake until we reconvened on Monday. Okay, I get it, just go with it. The program was pretty easy to start, you enter your food and try to eat more food from the Green category and less from the Red group. Simple enough I guess. The app was showing a 1,400 calorie diet for me which is a pretty dramatic change just all of a sudden. The app decided the calorie budget strictly based on my target weight loss and time frame. Coming from a guy who pretty much eats whatever I want, in moderation, this was a shocker. I typically consume about 2,500 calories minimum per day. I messaged the trainer again and asked about this, and was told that based on my weight loss goal, 1,400 calories would get me there. Now, this calorie budget didn’t account for any exercise either. That brings me to the next point, you can adjust your calorie budget if you so desire. When you do manually enter exercise in the Noom app, they will give you partial credit for calories burned and add that to your food budget. 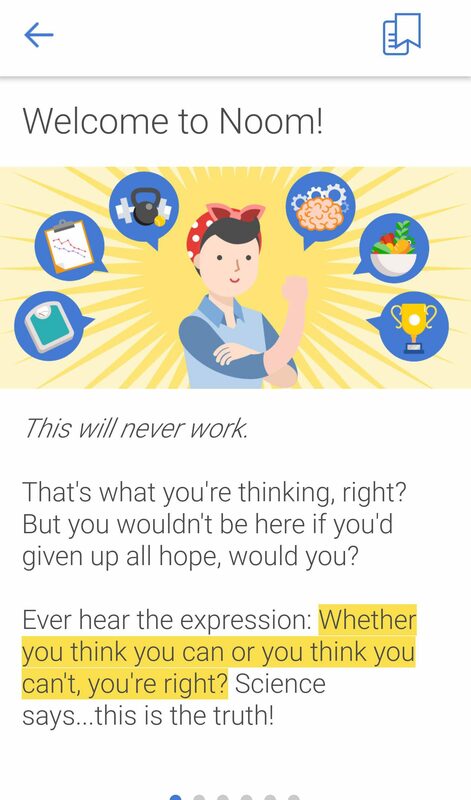 What I would like to see is, the Noom app ideally would pick up the calories that Google Fit says I am burning in a day, and adjust my calorie budget accordingly. You have the option within Noom to connect to a fitness app, and I connected mine to Google Fit. This will track your steps during the day as well as other exercises. The problem was that the two were not communicating with each other. I contacted Noom support, and they gave me a series of steps to try. After several attempts of installing, uninstalling, the usual song and dance, I finally gave up. Google Fit was showing data from Noom, but not the other way around. After I gave up, a few days later everything magically worked. 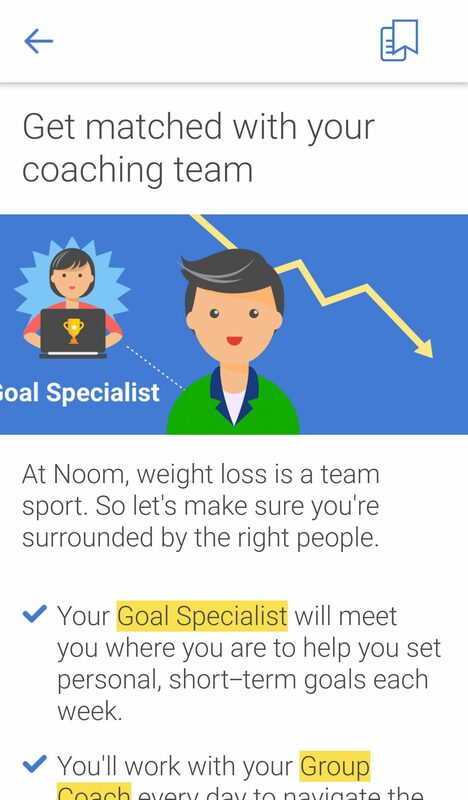 Noom was collecting data from Google Fit. This was a small victory for me. I understand that technology is supposed to make our lives more comfortable, but it doesn’t always work that way. Noom support was patient and helpful during this time! Back to my story, I started on a Thursday and was supposed to reconnect with my coach on Monday after logging my food over the weekend. As I said, I had raised a few questions on the Thursday that I joined. 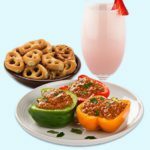 I was given some links to read, about the calorie budget and food tracking. I was really hoping for more hand-holding initially, but okay, I can get through the weekend. Monday rolls around, and I anxiously awaited word from my coach…nothing. I messaged the coach through the app later in the day on Monday. Certainly, I would hear back, right? Nope. Tuesday came and went, and I never heard from the coach either. At this point, I was pretty fed up. I gave it one more day and kept logging my food and entering my weight. Then by Wednesday the week after I initially signed up, I had not heard from Noom, so I canceled my trial. 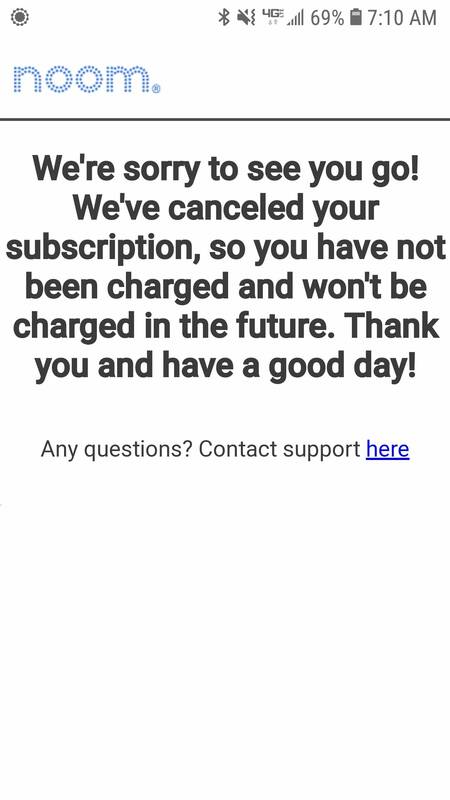 Canceling was super easy by the way. I kept thinking to myself are they just holding out on me until my trial ends and they charge my credit card? Maybe that is why no one got back to me. Noom does take your credit card information at the beginning, but they do not charge your card until the trial period ends. That was my experience, some good, some bad. Overall I really think this program is a fantastic idea, just poor on execution. I know this is a top-rated program and I wish my experience had been better. 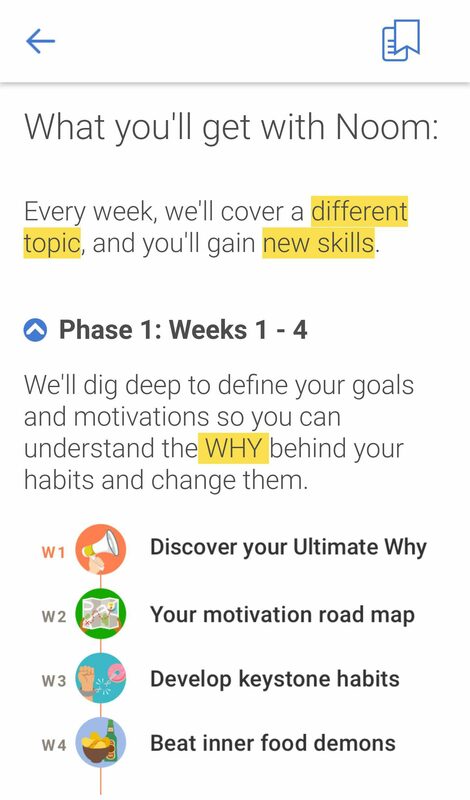 I was genuinely interested in continuing on after the trial period, because I like the approach Noom takes, teaching you about habits, food choices, triggers, etc. I think there is a lot of valuable information within the program. I am hoping that my experience was an aberration. I do recommend that you give it a try, and maybe you will have better luck than I did. With a 14-day trial, you really have nothing to lose. Well, that depends on certain factors. The plan is customized to fit your needs. The longer you commit, the less expensive the program is. For example, monthly plans are $59, all the way up to a 12-month plan for $199. How long you are in the program, of course, depends on your goals. You get access to all the goodies. You get a coach, a community to support you, and most importantly a plan designed to work for you. No, create your own meal option with Android. So if you make tacos, you have to enter the individual ingredients to track it. Well, that was a lot of typing, and I appreciate you hanging in there with me for my inside look at the Noom diet. I think there is a lot to like, even though my experience was not great. I really wanted this to be a home run because I was ready to get started losing some weight. Maybe the coach assigned to me was having a bad week, maybe there were other circumstances that I don’t know about. I do have a hard time recommending a product when I had a bad experience. But my experience wasn’t all horrible. I like the concept, and I actually learned something from my experience. I learned about food triggers, and about eating low-calorie foods that will fill you up. I really think it’s worth doing the 14-day trial because you have nothing to lose. Canceling is easy if you decide it’s not for you. If you are interested in signing up, click the link below. I would love to hear about your experience so please let me know how it goes. Thanks for stopping by today, I really appreciate it! Please let me know if you have any questions or comments. Great post about Weight loss. I love the way you analyse the critical elements are necessary for a diet plan to work, you really went deeply showing what we can achieve provided with the proper motivation. I’m also impressed by the way the food is broken down into categories with all the categories having their own sample of food, I have to say, the Noom diet program is one of a kind. Thank you for your comment, I appreciate it. Noom definitely has a different approach and I think it’s innovative. Unfortunately, my personal experience wasn’t ideal, but maybe other people will have better luck. I did learn a lot from my experience, especially breaking bad habits and making healthy food choices, so all was not lost. Anyway, thanks again for stopping by. Let me know if you have any questions, I am happy to help. Hmmm, I am honestly kinda interested in the noon diet plan. Motivation and tracking is exactly what goes wrong on most of the diet plans I have tried so far. If everything you just explained is true to the heart, then I guess I have found my next diet plan. How long before I can see great results after the 14-day trial period? Well, Isaac, I appreciate your comment. I definitely think Noom is worth a shot, there are a lot of great features. Unfortunately, my experience wasn’t ideal, but that doesn’t mean it will be bad for everyone. As for results, that will be up to you my friend. A lot of people start a diet and then do not follow through. So, as long as you follow the program and make healthy food choices, I am sure you will have success. Great article, very professional, and I like to hear about the personal experience too! Because it will make everything more realistic! And the Bowflex Xceed home Gym looks very good! Thank you for this great article! I will share this to the friends who need it! Thanks for your comment, I appreciate it. I am glad you like the review, hopefully my review and experience will be useful to others who are looking into Noom. My experience was not ideal, but hopefully other people will have a better experience. Please let me know if you have any questions I can answer, I am happy to help. Hi Faith, thank you for your comment. I am glad you like this Noom article and I do love how they break food down into categories. The approach to weight loss seems solid. Thanks again for stopping by. Please let me know if you have any questions about my experience.